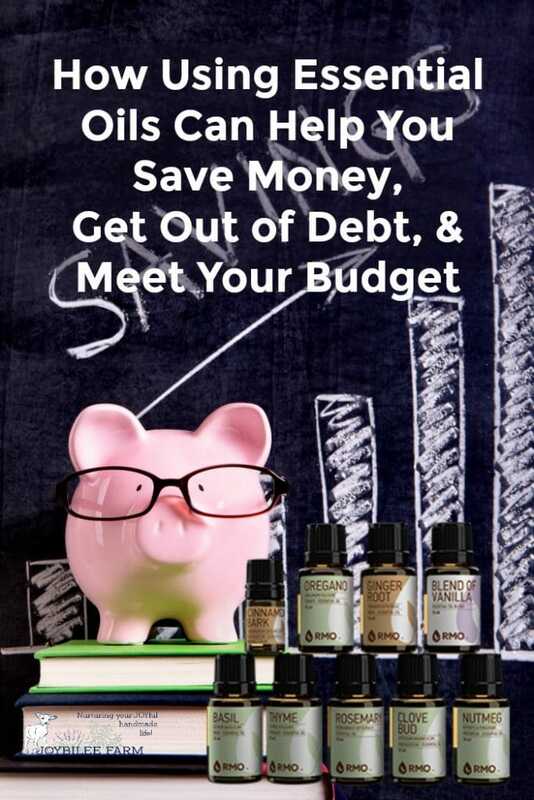 You might be thinking that buying essential oils can’t possibly help you save money or meet your budgeting goals. However, when you replace products you are buying now with easy to make DIY products that rely on essential oils for their active therapeutic benefits, you can save money with essential oils, provided you do it the right way. Essential oils are concentrated botanical ingredients that are powerful and expensive. 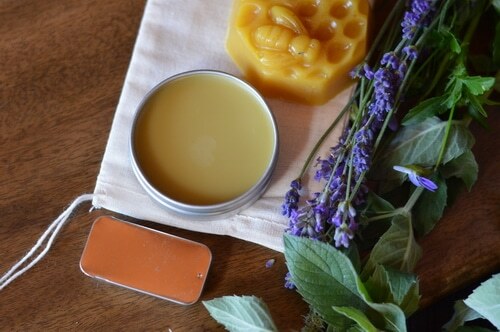 Less is more when it comes to DIYing with essential oils. I want to show you how to save money with essential oils by replacing some of the products you generally buy for your home or your family with effective DIY alternatives. 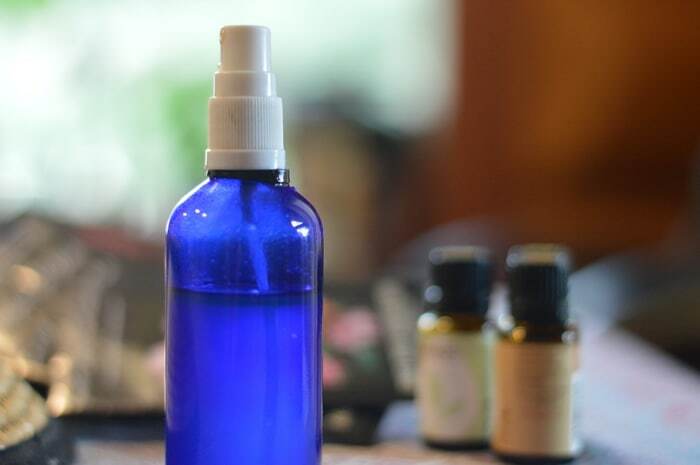 By using essential oils in your home you can replace expensive cleaning products, petro-based air fresheners, fancy bath bombs, specialty soaps, first aid supplies, and even specialty skin care products. Using essential oils can even help you reduce your carbon foot print by choosing more eco-friendly products and reusable containers. And you only need a few drops of essential oil. Let me show you how to save money with essential oils. Over the Christmas Season I’ve been using essential oils diffused in an ultrasonic essential oil diffuser. 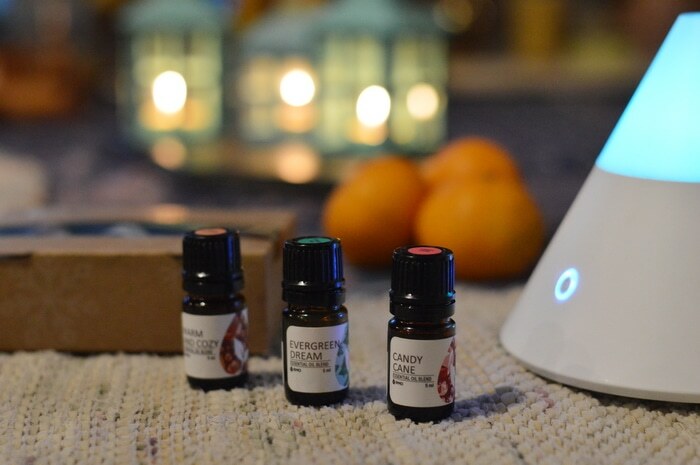 Diffused essential oils clean the air, add a small amount of humidity to the dry winter air to keep sinuses from drying out and skin from cracking. The essential oils also clean the air of stale odors, smoke, bacteria, and viruses to keep you healthier. Plus the extra humidity helps you to stay healthier, so that bacteria doesn’t stick to your sinuses. 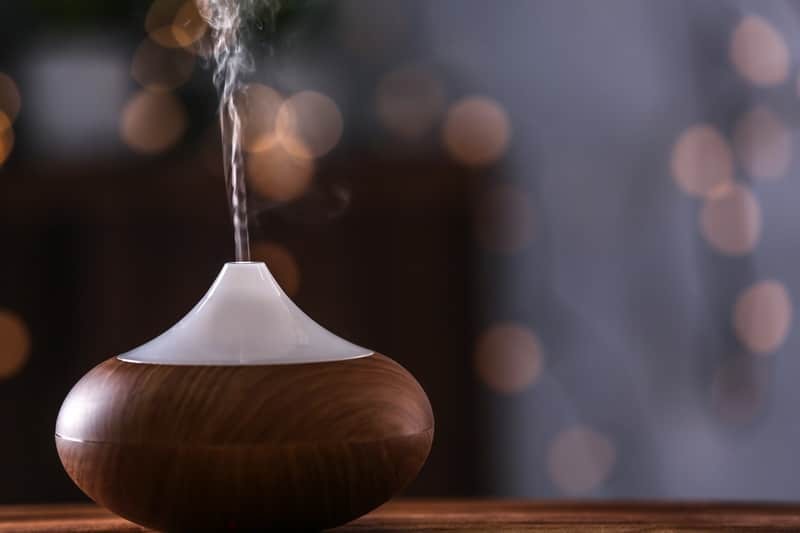 If you live in an area of high humidity, essential oils can be diffused using a reed diffuser, like this one, that doesn’t add extra moisture to the air. They can still provide the air cleaning power and replace commercial air fresheners at a lower cost to both your health and your purse. Over the holidays I ordered several bottles of essential oils from my two favorite essential oils distributors, Plant Therapy and Rocky Mountain Essential Oils. I chose these two companies for my essential oil needs because they provide documentation for batch testing of the purity of their essential oils. When it comes to essential oils less is more. While a 10 ml (1/3rd ounce) bottle of essential oils may seem pricey you don’t need a lot for potency. This makes even the more expensive essential oils good value. For instance most regular skin care essential oils should be used at a 2% dilution. How much is that? That’s only 4 drops of essential oils in one of those 10 ml roller ball bottles with a carrier oil. Adding more won’t make the essential oil work any better. Your body reaches a threshhold of benefit, and after that, adding more will just be wasting your essential oils and burdening your liver and kidneys. For acute issues like sore joints, skin problems, sniffles, and colds and flu, a 3% dilution is recommended. That’s just 6 drops of essential oil in a 10 ml roller ball bottle with a carrier oil. Again using more essential oils won’t heal your body any faster. Essential oils support your body’s own ability to heal itself and that takes time. Using more essential oils can’t speed that up. 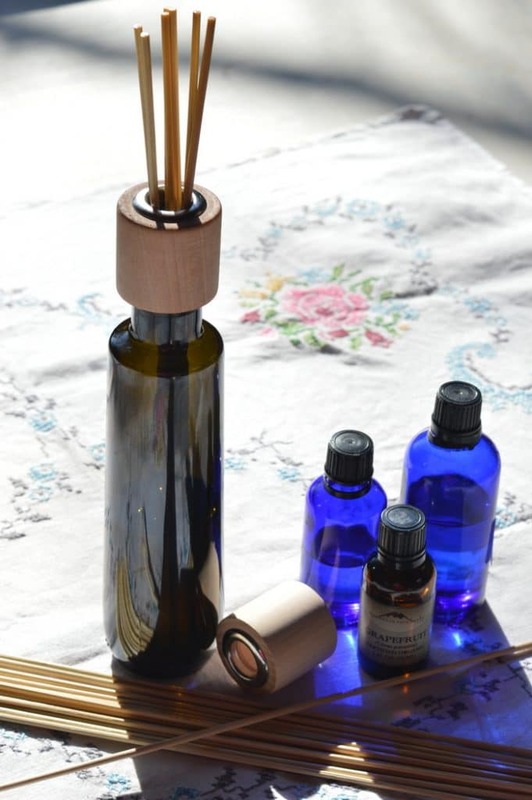 How many drops of essential oil for an ultrasonic diffuser? If you are using an ultrasonic essential oil diffuser, you’ll put water in the reservoir and add a few drops of essential oils to the water before turning on the essential oil diffuser. But how much essential oil do you need to add? Most essential oil diffusers that hold 100 ml. of water (about 1/3 to 1/2 a cup) will run efficiently with 4 to 6 drops of essential oils in the reservoir. If your diffuser holds 150 ml to 200 ml of water you can use 6 to 8 drops of pure essential oils each time you run your diffuser. How far will a 10 ml essential oil bottle go? A 10 ml bottle of pure essential oil provides 200 drops of essential oil. That’s enough to run your diffuser once a day for a month or twice a day for 2 weeks. It’s enough essential oil to make 33 — 10 ml essential oil rollers for acute health issues or 20 — 10 ml essential oil rollers for first aid problems at a 5% dilution. 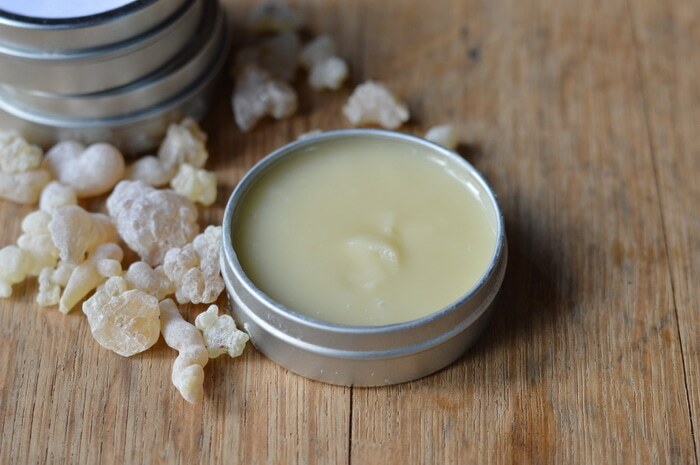 If you are coping with a skin infection like MRSA you might try a 5% dilution in a salve and you’ll get 3 to 4 — 2 ounce batches of salve out of a single 10 ml essential oil bottle. Compare that to the cost of ineffective, petrolatum-based creams and you’ll see that essential oils are cost effective. If you are dealing with a MRSA infection or other serious health issue use any homemade treatments in consultation with your doctor. Essential oils can interact with prescription medicines. How much will it cost to use essential oils? Pure essential oils vary in price depending on the plant that the essential oil is distilled from. Some dear essential oils, like Jasmine essential oil or rose essential oil take hundreds of pounds of flowers to win just a few ounces of essential oils. Other essential oils like the citrus peel oils, require just a few pounds of plant material. This will be reflected in the cost of the essential oils. Generally pure essential oils are a much better value than diluted essential oils. Or you can create a natural cleaning solution by adding 1 tablespoon of Dr. Bonner’s liquid soap and 30 drops of essential oil in a 2 cup spray bottle. Lemon essential oil is just $8 for 10ml (Plant Therapy); Tea Tree Essential oil is $7 (Plant Therapy). 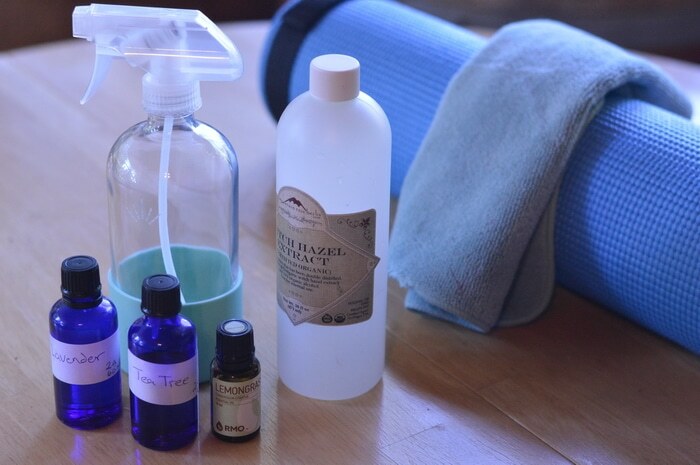 So one batch of all-purpose spray cleaner is around $1.25, with these potent antibacterial, anti-fungal essential oils. You just need to add a good quality glass spray bottle for all your cleaning needs. Using essential oils can help you meet your New Year’s goals of living a healthier lifestyle, getting out of debt, and having more money for the special family times and vacations you plan for this year. Grab my Book and start using essential oils to save more money every single day! 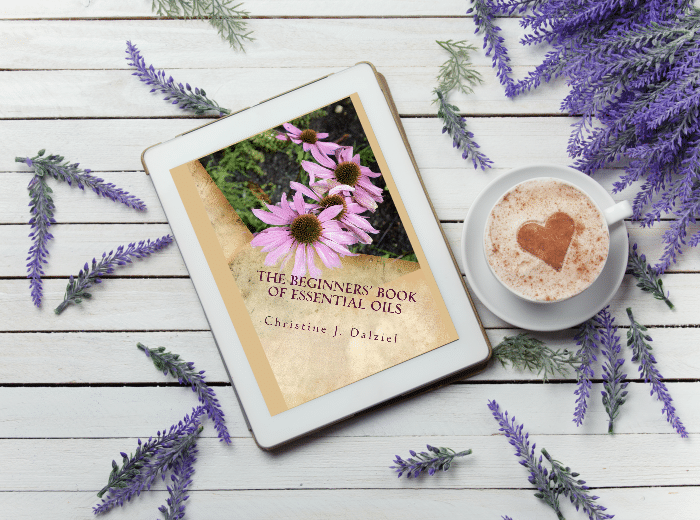 The Beginners’ Book of Essential Oils is the answer to the question, “Where do I even start?” Explore your first 10 essential oils and learn to use them with confidence, with over 80 recipes for health, beauty, and cleaning products. Written with the beginner or intermediate essential oil user in mind. This essential oils guide sifts through the hype and confusion and gives you the knowledge and confidence you need to safely explore 10 foundational essential oils, without needing to spend hundreds of dollars just to begin. Written by an herbalist not an essential oils marketer, so you can trust that the information is based on real botanical research and experience and not marketing hype.